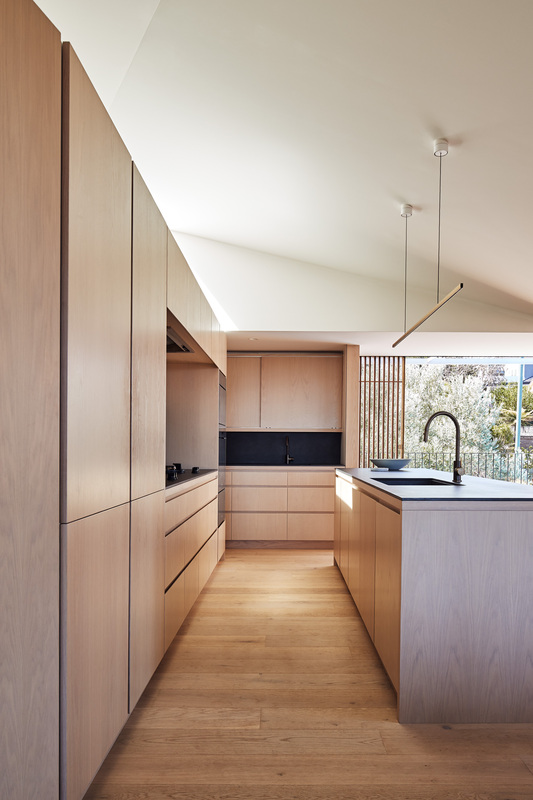 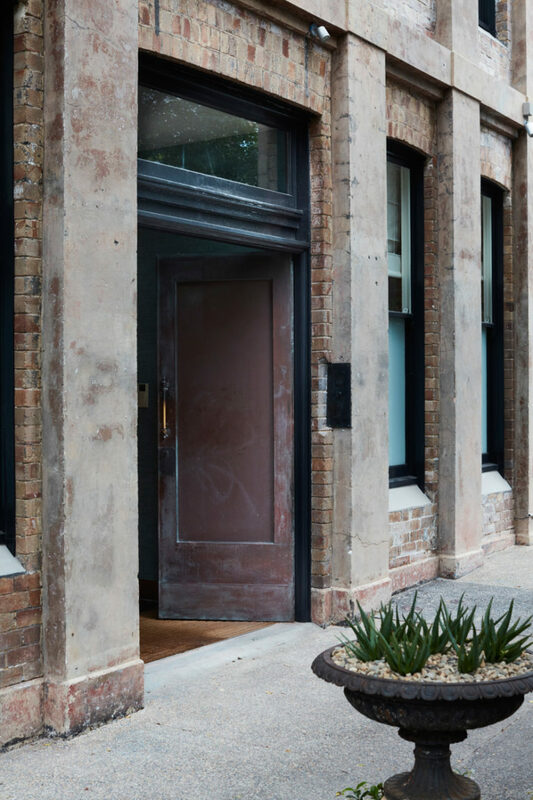 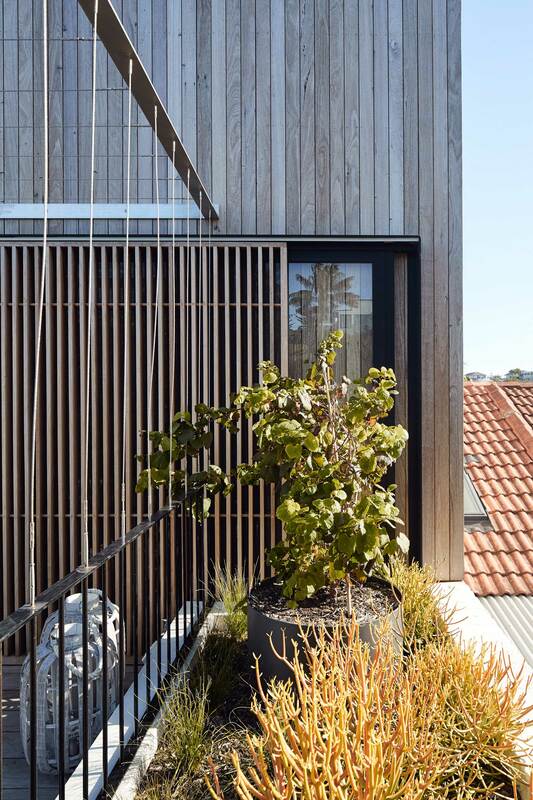 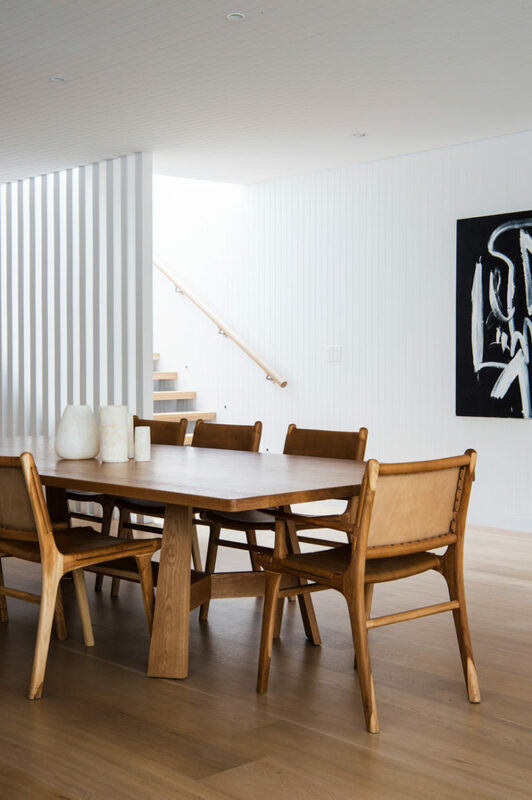 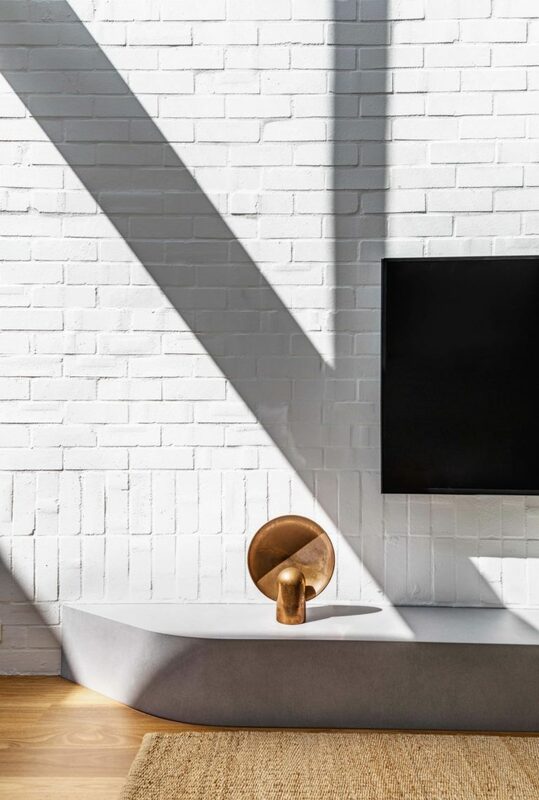 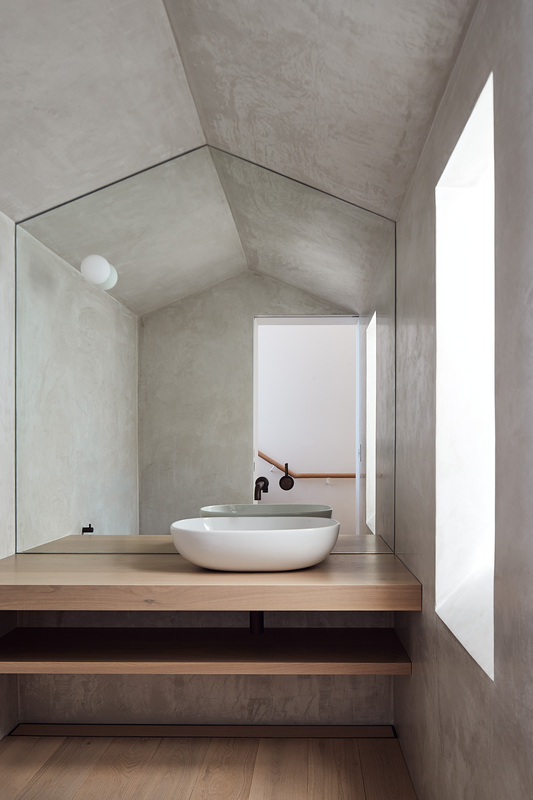 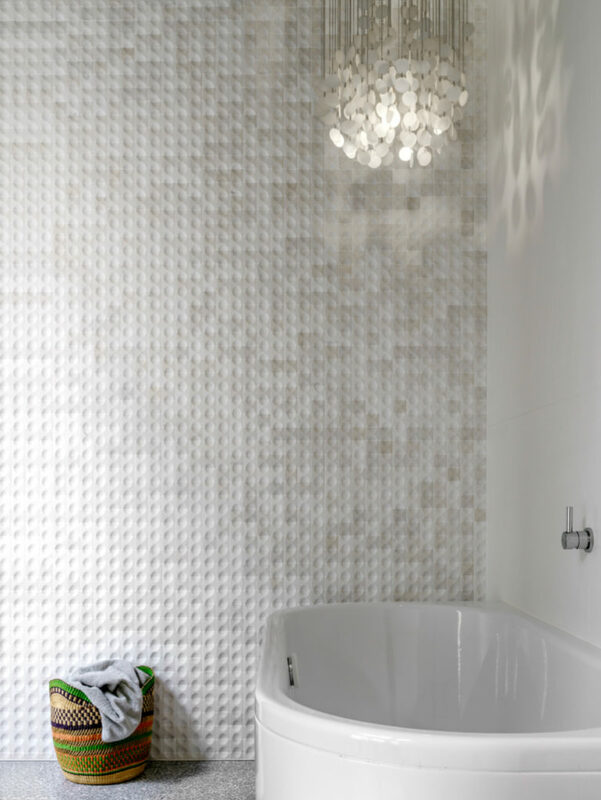 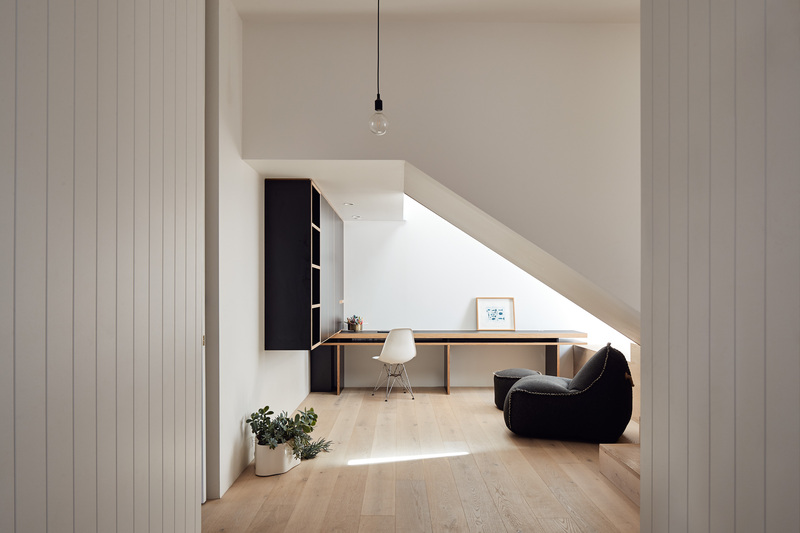 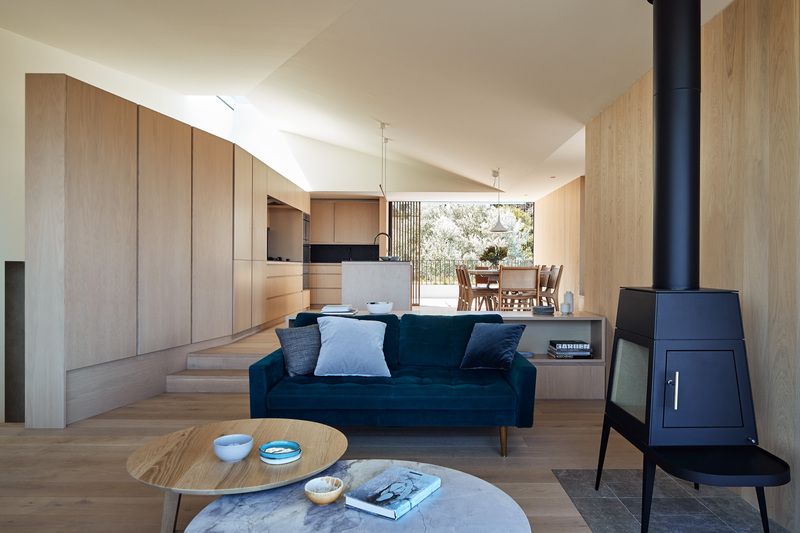 Renovating a two-bedroom semi with a compact footprint and a warren of dark rooms, Andrew Burges Architects have delivered a transformative, contemporary design. 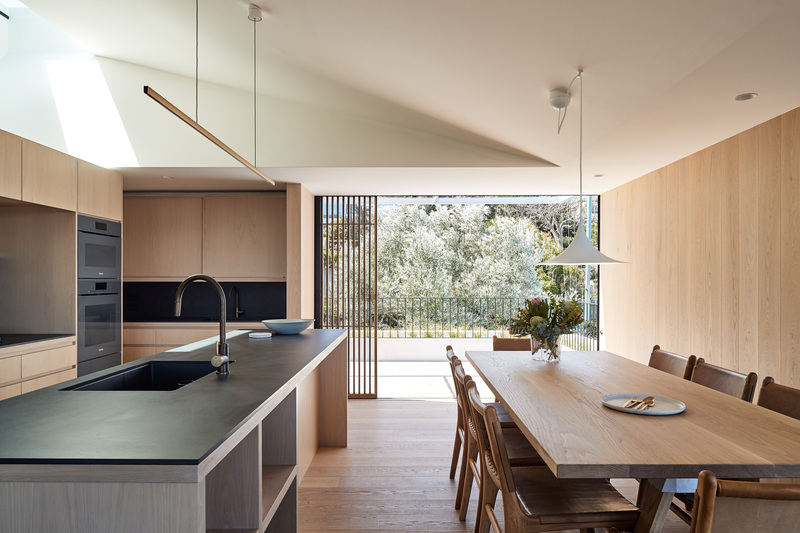 By exploiting the steep site, and the notion of continual ascent, the journey up through the house is rewarded by the surprise of the remarkable water views. 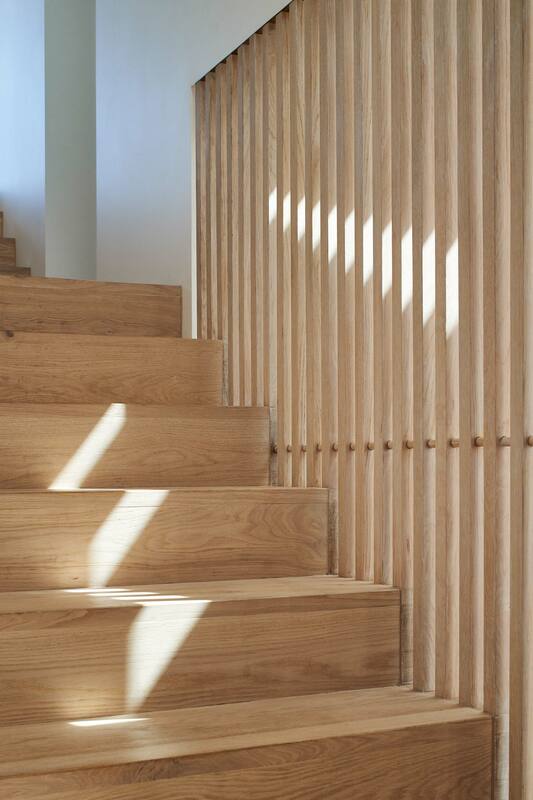 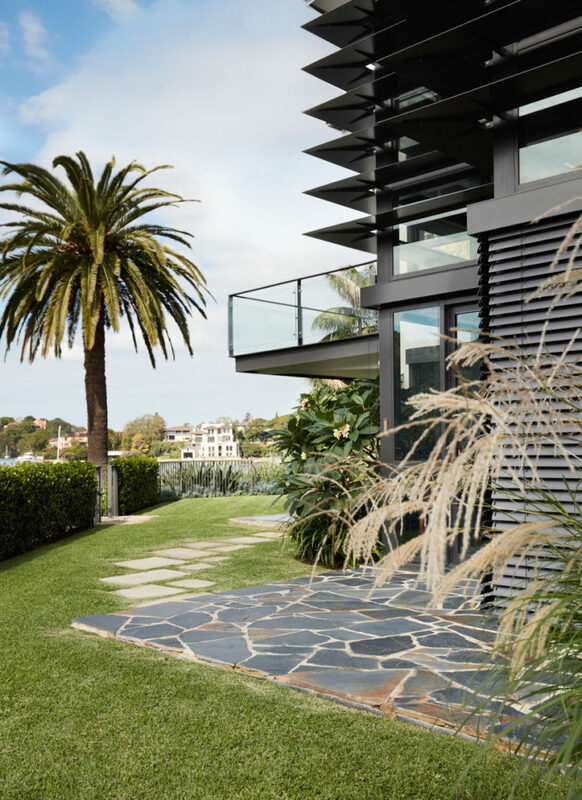 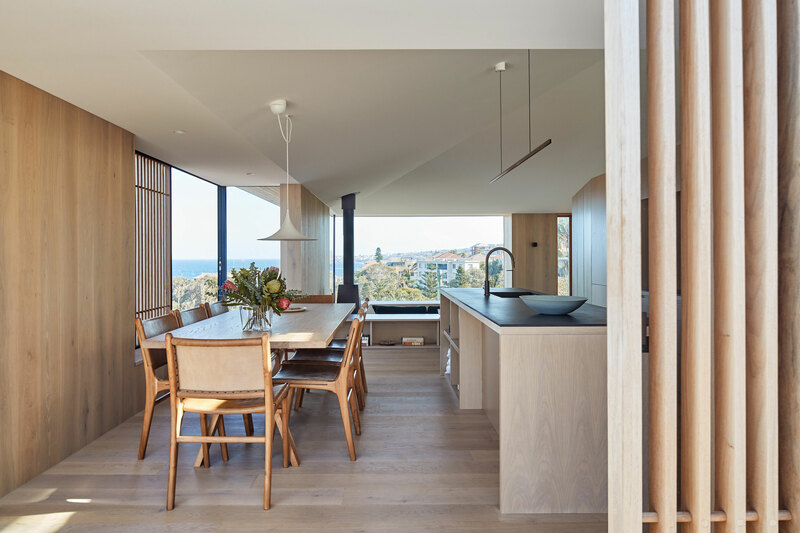 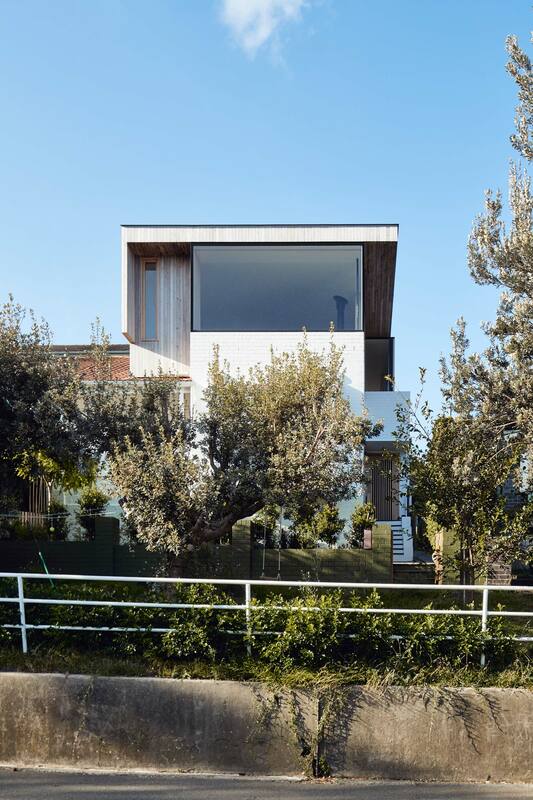 Through careful planning, the design of a generous foyer and resolved timber stairwell, enabled the architects to flip convention and house the bedroom level on the lower floor with the living / kitchen / dining level above relating to outdoor space and the panoramic view. 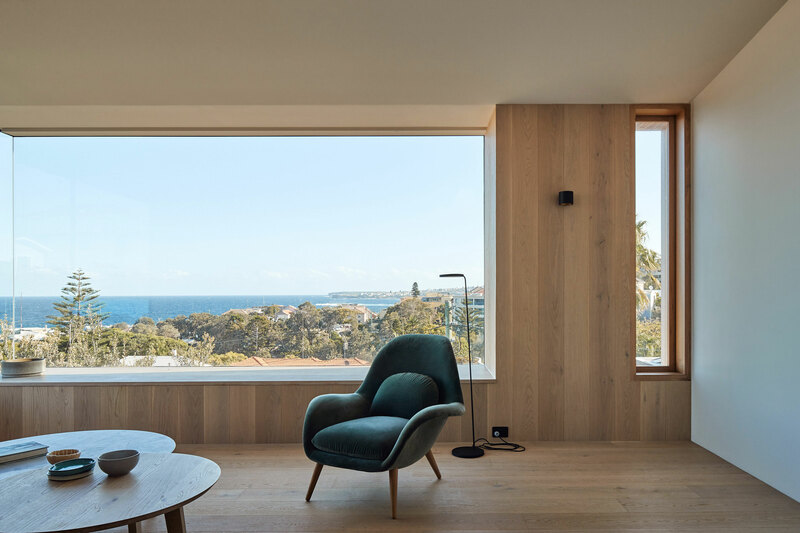 The use of massive planes of glass enables the family to enjoy the sense of living in the clouds and experience a connection to the landscape. 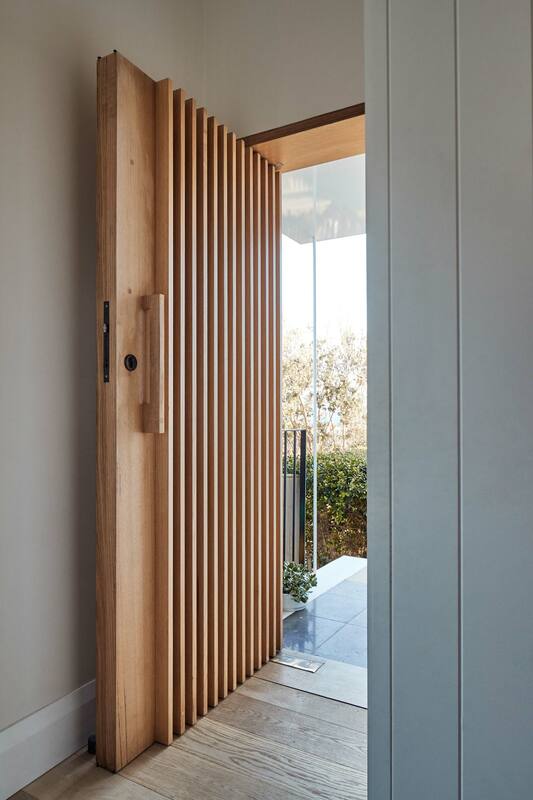 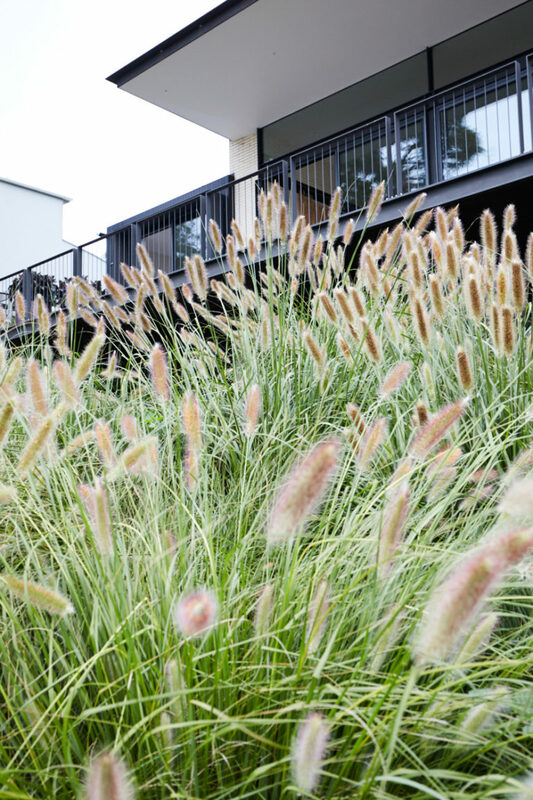 For this carefully detailed and resolved project the collaboration with Robert Plumb Build is described as ‘seamless’ with a sense of constant support stemming from the design awareness of Bill Clifton, the foreman and extended team.